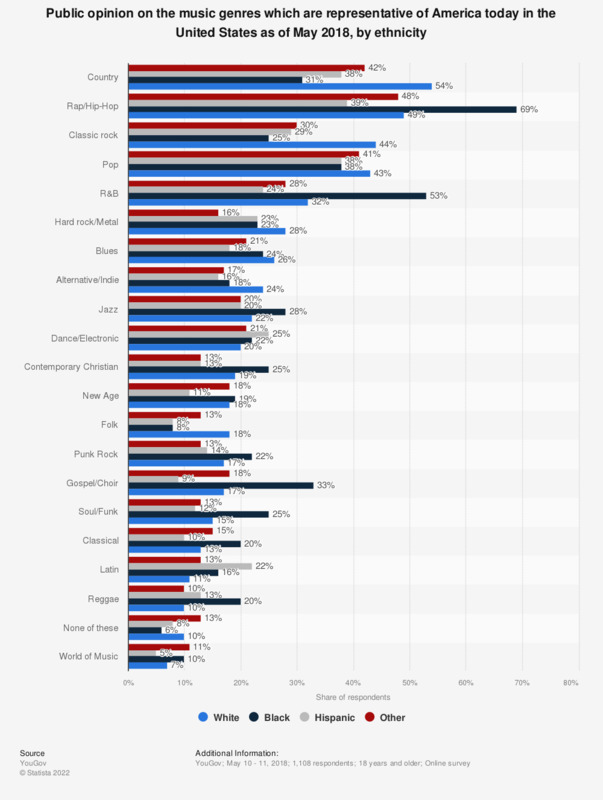 This statistic shows the public opinion on the music genres which are most representative of America today in the United States as of May 2018, by ethnicity. During the survey, 54 percent of White respondents stated that they considered country music to be representative of modern America. Which musical form has reached its peak? Which decade had the worst music?